Cape Town - Bournemouth striker Jermain Defoe will take on the role of mentor for England's younger players in their upcoming World Cup qualifiers. 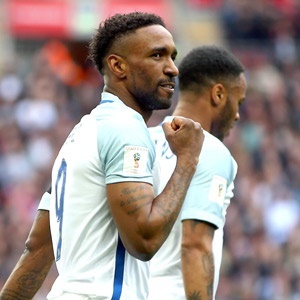 England are set to face Malta on Friday and Slovakia on Monday as they look to solidify their lead in Group F and, with Wayne Rooney no longer in the fold, 34-year-old Defoe is now the senior striker in the squad. "I think it comes naturally, to be honest," Defoe said after Three Lions boss Gareth Southgate named him as a leader for the younger players. With 20 goals and 57 caps to his name, Defoe says he still has that scoring touch after netting 15 goals for relegated Sunderland last season. "I want to show people I can still do it,” he said. “I want to stay in and around the England squad and hopefully go to another World Cup. It would be a dream to play at another World Cup for sure. "It is nice sometimes when you feel you have something to prove. And in terms of preparation and recovery and stuff, I tick every box, so in my mind I don't feel like I'm really slowing down.